Wiva is one lucky baby elephant. Her mother, Wendi, was rescued as an orphan by people with the David Sheldrick Wildlife Trust (DSWT). Caretakers at the elephant orphanage rejoiced last year when Wendi showed up again for a visit - this time with little newborn Wiva in tow. Now, nearly a year later, Wiva is thriving with her big family. This bonding is so important for elephants - especially the girls. 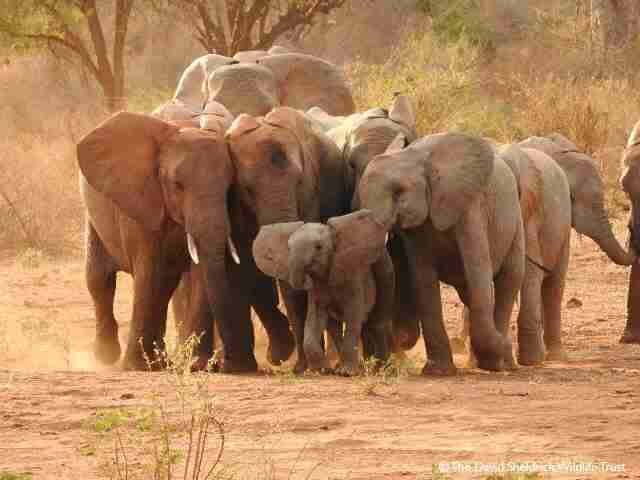 "Female elephants stay with the herd for life," Amie Alden of DSWT told The Dodo. "They raise their own calves alongside mothers, grandmothers, sisters and aunts." 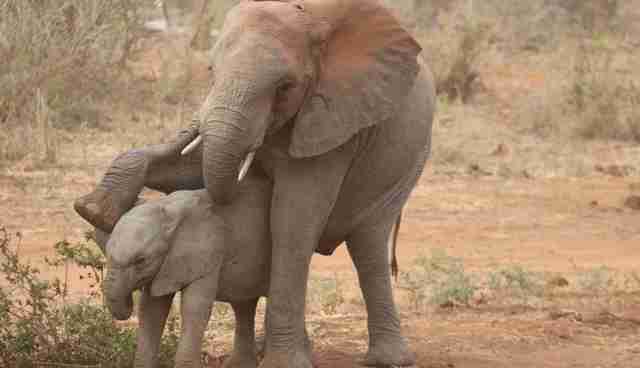 The female elephants of a herd act as nannies for their friends' babies. "In elephant society, the females in the group step in to help, which is also great for mum but also for younger females who learn the ropes of how to care for their own calves in the future," Alden said. So Wiva, who has a growing fan club among the people at DSWT, is also lucky to live with a whole group of elephants who love her. And she is just one of 18 wild-born orphan babies who were rehabilitated and released into the wild by DSWT, according to Alden. "One of 18 ... that we know of!" Alden said. Makena, an 11-year-old elephant living in the same herd, plays with Wiva - and is learning how to relate to baby elephants so she can one day have some of her own. As for the boys? Young bull elephants will be pushed out of the group once they reach puberty, Alden said. "They may form bachelor groups and males are typically the scouts of elephant society, traveling far and wide, covering enormous distances ... to investigate new pastures for the herds."